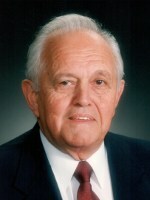 GUILDERLAND – Donald A. Robinson died Tuesday, November 20, 2012, at Our Lady of Mercy Life Center. Donald was born at Sidney, NY on Dec. 3, 1927, son of the late Arthur L. Robinson and Luella (Geertgens) Robinson. He lived most of his young life in Franklin, NY and graduated from the Delaware Literary Institute and Franklin Central School in 1945 and then attended Hartwick College in Oneonta, NY. After college, Donald came to Albany, NY and worked several years for the Westinghouse Electric Corporation. He started in the hardware business in 1958 on Western Ave. in Guilderland, retiring in 1991. The hardware today is known as the Robinson Hardware Corporation, and is operated by his son Garry. Don is survived by his loving wife of over 61 years, Elizabeth (Fitzsimmons) Robinson, being married at St. Joseph’s Church in Albany on Sept. 1, 1951. He is also survived by his five cherished children and their spouses: Michael and Jackie Robinson of Naples, FL, Donna Fink of Rotterdam, Garry and Nancy Robinson of Guilderland, Mariann and Stephen Vagianelis of Guilderland, and Amy and John Bourdeau of Winchester, MA. Donald also leaves his eleven devoted grandchildren: Phillip, Megan, Ethan, Judd (Sara), Troy, Alexis, Emma, Jenna, Jillian, Abigail and Charlie; and his great grandchildren Katelyn and Austin. He is also survived by his only brother and sister in law James and Doris Robinson of Philadelphia, TN, a sister in law Joan Vavala of Schenectady, and by many nieces and nephews. He was predeceased by his daughter in law Sandra Robinson, and his son in law Roy Fink. The family would like to express their deep appreciation to the staff and nurses of Our Lady of Mercy Life Center for the loving care they provided to Don. Funeral services will be held in the Hans Funeral Home, 1088 Western Ave., Albany, Saturday morning at 9:00, and from there to Christ the King Church, Sumpter Ave., Guilderland at 10:00. Relatives and friends are invited, and may call at the funeral home Friday from 4-8 p.m. The parish family of Christ the King Church will gather in the funeral home at 4:30 pm Friday for a service of prayer and remembrance. All are welcome. Interment will be in Memory Gardens, Colonie. The family suggests contributions in lieu of flowers to the Christ the King Church Building Fund, 20 Sumpter Ave., Albany, NY 12203. To leave a message of condolence for the family, send a sympathy card, or obtain directions to the funeral home, please visit www.HansFuneralHome.com. Click here to view Don’s resting place in Memory Gardens, Colonie, New York. We were very sorry to hear of Mr. Robinson’s passing. Our thoughts and prayers are with all of you. Our heartfelt condolences to you and your family at this very sad time, Mariann. Our thoughts and prayers are with you. So sorry to hear of Don’s passing. He was a wonderful man. We have many fond memories of him and times with the Robinson / Vagianelis family. Our thoughts are with you all and we wish we could be there with you. I am happy to say that we have known the Robinson family for years. Although Mr. R’s passing is a sad event, the memories and the legacy he leaves behind are remarkable. I will always remember him as such a sweet man and his presence will be missed, but never forgotten. We would like to express our sadness and sympathy at the passing of your father. Although it has been many years I have very warm memories of your dad, your family and of times spent together. With love, Eric, Laura, Alec and Dusty Swanson.